The town of Allen was started around 1872 when the railroad went through. It was named for Ebenezer Allen, who was attorney general of Texas. The cemetery was started by Lodge No. 249 of the IOOF, International Order of Odd Fellows, in 1884 when it purchased land from John Whisenant. Blue Ridge, Nevada, Farmersville, and Princeton also have IOOF cemeteries. There are several deeds for the cemetery. One deed is recorded in Vol 413, p 388. 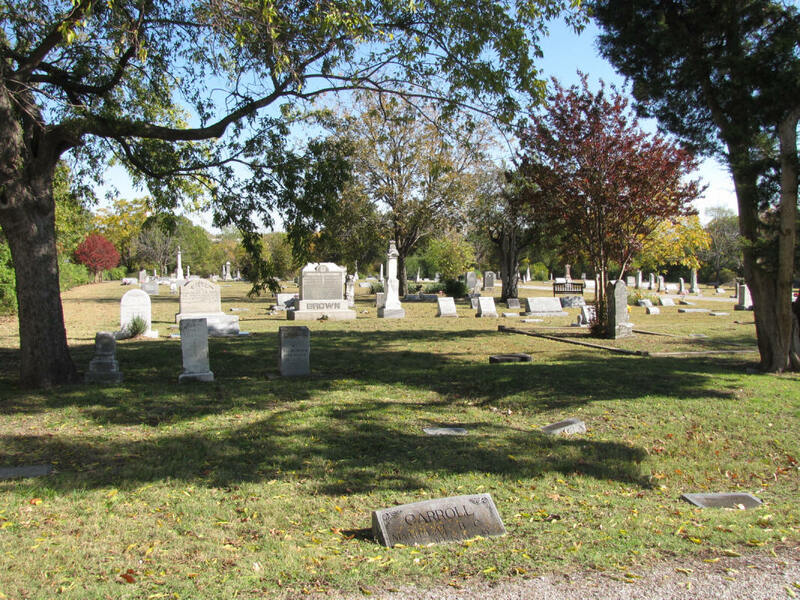 It adds an additional 1.17 acres of land to the cemetery and shows the plat map on page 389. The cemetery has a large stone entrance and an iron fence across the front. It covers about 3 acres of land. Cottonwood Creek runs behind it. The oldest marked grave is for Rebecca Hamilton, who died in 1883. It is said that there were burials before that time. In the southeast end there is a small plot where slaves were once buried. The markers for the slaves have been lost. The cemetery has a historical marker and is well taken care of. 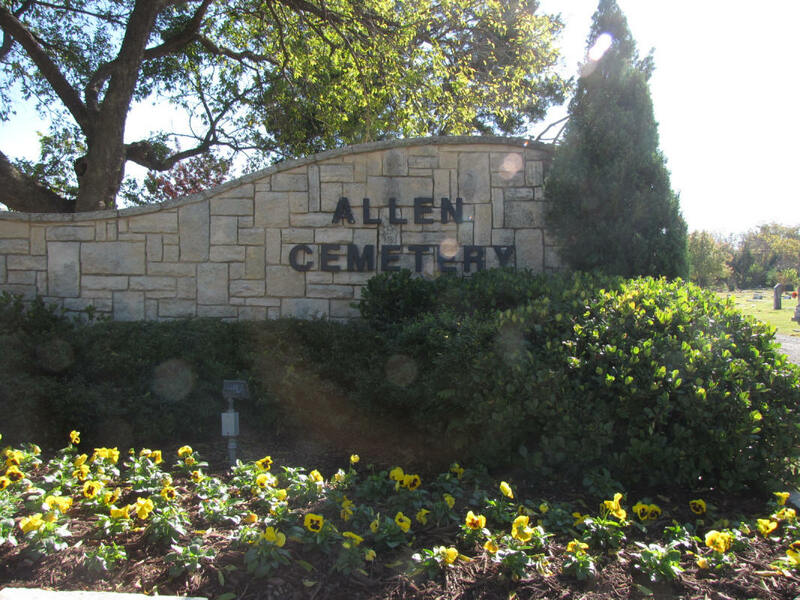 The city of Allen maintains the cemetery. It is still active. There is an Allen Cemetery Association. The cemetery has a Decoration Day every year. LOCATED ON LAND PURCHASED FROM MR. AND MRS. JOHN W.
ALLEN COMMUNITY FOR OVER A CENTURY. PERMELIA FORD, A PIONEER SETTLER, AND DOCTORS H. N.
COMPTON AND WILLIAM F. WOLFORD.